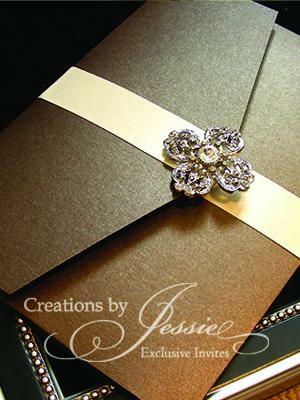 All wedding invitations are personally designed and handmade with the utmost attention to detail. 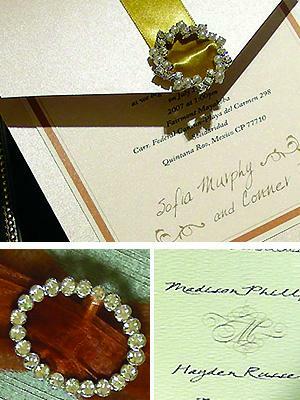 We use only the finest imported papers, embellished with luxurious ribbons and accents. All our accessories are sourced directly from reputable suppliers so the savings can be passed on directly to you. Thus keeping the company's motto "Custom made cards without the custom made prices". 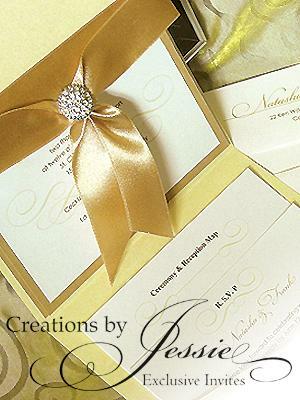 Since all our invitations are personally designed and handmade, we have no limitations on what special occasions you might choose. We love what we do and find great joy in helping brides-to-be find the perfect design and paper that inspire and leave a lasting impression. Everyone beware!! These people wasted 3 weeks of my time and in the end never made the invites they promised. They are very hard to reach, never answer their phones and never reply to emails. They told me to put down the deposit for the invites and when I finally got a hold of them (it took me 3 weeks to find them again) they told me that its too late right now and that they can't design the invites. I am running out of time and am now forced to go with "store bought" invites. Very unprofessional and unreliable. Very disappointed and wouldn't recommend them to anyone.